If you like easy, affordable, and pops of color at your windows then you may just love this idea. 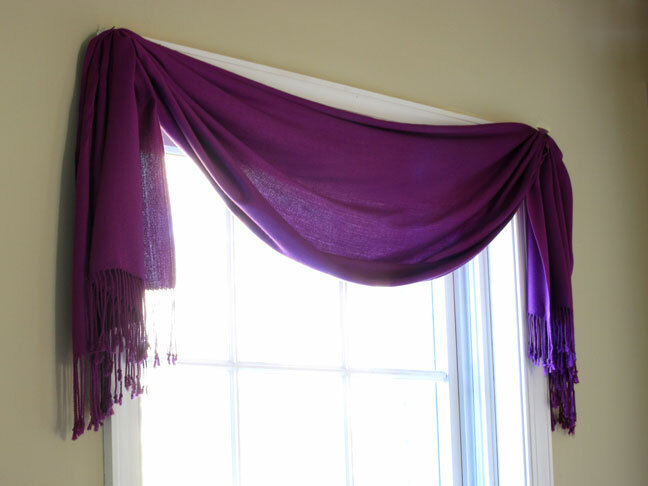 Drape a $5 Pashmina scarf on your window. 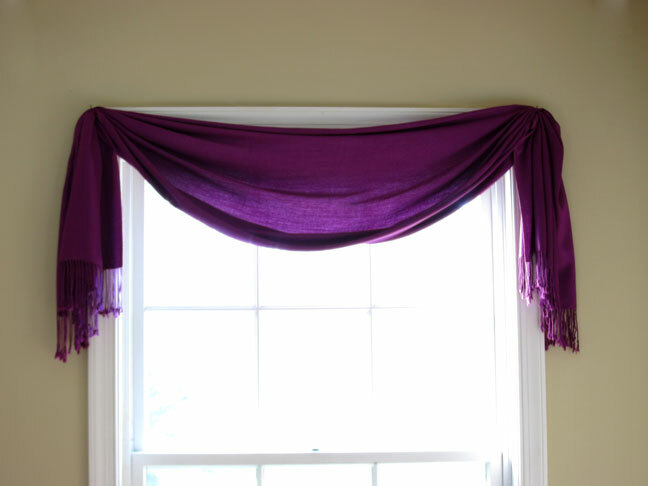 It makes the perfect instant no-sew window treatment. They come in every color and pattern imaginable and you can easily find them sold by street vendors in every city around the nation. Hanging it on your window will not damage it at all. To wear it again, you can simply remove it from the window and wrap around your neck. Take a minute to prep it for hanging and you will save yourself time fussing with pleating and centering. 1. Lay the scarf in front of you and accordion fold it loosely. 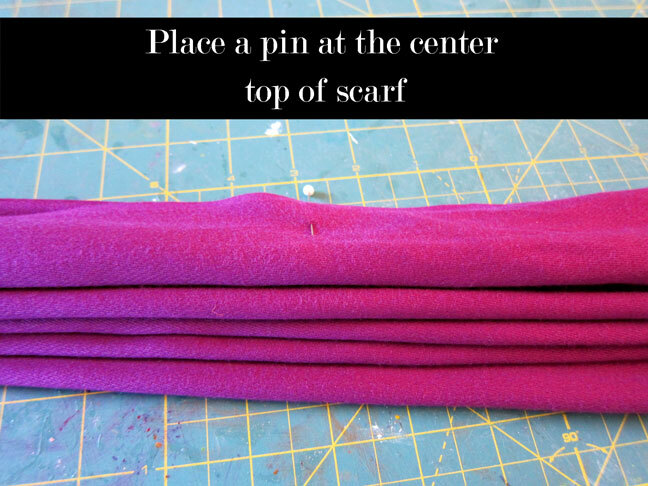 Find the center and place a straight pin along the top center edge of the scarf. 2. Tie a piece of matching or coordinating ribbon about 12" from each end. Don't tie too tight. Leave a little wiggle room – so when the scarf is hanging you can make any needed adjustments. 3. Place two small nails along the outer top corner of the window molding. Attach the loop of ribbon on each end to the nails. 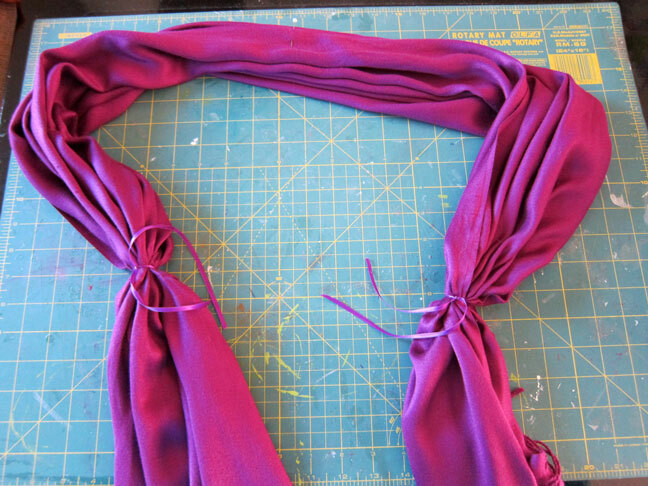 Pull the scarf down from each end and arrange folds. When you like how it is draped, you can tighten the ribbon. This will hide the nails. Tuck the ends of the ribbon behind the scarf or cut them off.